An Historical and Topographical Account of Woburn and its Abbey – Stephen Dodd, 1818. Dodd, Woburn. A complete history of Woburn Abbey, with a section on the town. Reprinted in 1845, and a much edited version was produced in 1890. Aonian Hours – J. Wiffen, 1819. Longman, Hurst, Rees, London. A poetry book, by a Woburn resident, in which the principle 109-verse poem is “Aspley Wood”. Selby of Wavendon. Selbyana – Francis Jollie, 1825. Describes the inheritance of the Selby family and how they came to Wavendon. Woburn Park: A Fragment in Rural Rhyme – George Castleden, 1839. Thomas Ward and Co. Poetry on the Abbey and Woburn, including Woburn Cricket team. House of Russell – J. Wiffen, 1833. Longman Hurst Rees, London. Detailed family history of Russell of Woburn, Duke of Bedford, the early part of which is now generally accepted as being based on incorrect data. Woburn and its Abbey – J. D. Parry, 1831. Longman, London. Complete history of Woburn Abbey and a section on the town. Wavendon and Hogstye End are also mentioned. Hortus Woburnensis – James Forbes, 1833. Ridgeway. A descriptive catalogue of upwards of 6000 ornamental plants cultivated at Woburn Abbey with numerous illustrative plans, including Aspley Cottage (Henry VIIth Lodge). Lays of Home – G. Castleden, 1850. Woburn. Three small books on the inns and coach trade of Woburn, the market and the church. Woburn Exhibition – G. Castleden, 1854. Woburn. Report on the Woburn scientific exhibition of 1853. 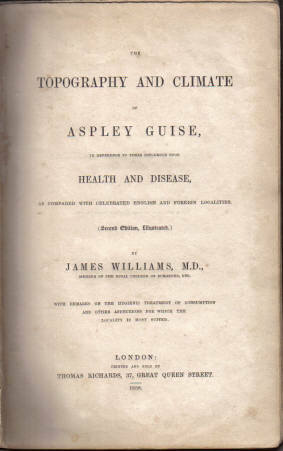 The Topography and Climate of Aspley Guise and their influence on Health and Disease – Dr. James Williams, 1858. Richards, London. The book which lead to the health resort and spa reputation of the district. Now available in full on this website. The Brothers Wiffen, Memoirs and Miscellanies – S R Pattison, 1880. Hodder and Stoughton. The biographies and writings of Jeremiah Holmes Wiffen and Benjamin Barron Wiffen, noted poets and Quakers, who lived and worked in the area and are buried behind the Woburn Sands Library. Gregory’s Guide and View Book of Woburn Sands and District – Herbert Gregory, 1904? Gregory, Woburn Sands. An in-depth guide book to Woburn Sands and district, illustrated with postcard views. Most copies found of this book come from when it was reprinted and sold in aid of St Michaels in 1952. Now available in full on this website. Wavendon Parish Register – William Bradbrook, 1906. Buckinghamshire Archaeological Society. Analysis of the early parish registers and notable persons and events. Now available in full on this website. The Popular Album of Views of Woburn and Neighbourhood – Fisher, c.1905. Fisher and Sons, Woburn. Reproductions of some of their popular postcard views. Excavations at Danesborough Camp – James Berry, 1926. De Fraine, Aylesbury. Results of the archaeological dig at the Anglo-Saxon hill fort on Aspley Heath. Some parts now available on this website. A History of Our District – Aspley Heath School Historical Society (W. F. Cooper) 1931. Powage Press. A school project lead to the publication of this indispensable book on the history of Aspley Guise, Aspley Heath, Husborne Crawley, Holcote, Ridgmont, Salford, Woburn and Woburn Sands, which also discusses Bow Brickhill and Wavendon. Bow Brickhill, Buckinghamshire – Rev. R. Conyers Morrell, 1934. Privately published. A history of the village and church, with a copy of the 1926 O.S. map. Quakerism at Hogstye End, Buckinghamshire – Tyeth A. T. Spencer, 1939. Privately published. The history of the Society of Friends Meeting House at Woburn Sands, on the site of our present-day library. Originally published as a series of articles in the Leighton Buzzard Observer, just 31 copies were later printed up into books. Now available in full on this website. A History of Our District – Aspley Heath School Historical Society (W. F. Cooper) Revised and enlarged by Fulbrook Secondary School, 1962. Powage Press. 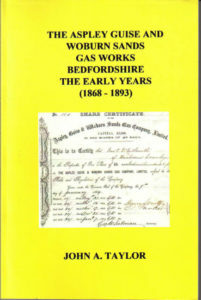 An update and enlargement of the book above on the history of Aspley Guise, Aspley Heath, Husborne Crawley, Holcote, Ridgmont, Salford, Woburn and Woburn Sands, which also discusses Bow Brickhill and Wavendon. The Centenary of Woburn Sands and its Parish Church – Michael Meakin, Vicar of Woburn Sands, 1968. A history of St. Michaels Church, Aspley Heath. Now available in full on this website. Ferme en Foy, 1926 to 1976, A history of the Roman Catholic Parish of St. Mary, Woburn Sands – Rev. Edmund J. Golston, 1976. G. P & M. Broughton. A history of the Catholic religion and church in Woburn Sands. Now available in full on this website. The Methodist Church, Woburn Sands. 1879 to 1979 – Trevor Dale, 1979. Privately published. A history of the Methodist religion and chapel in Woburn Sands. Now available in full on this website. The Story of Aspley Guise – Local History Group, 1980. Woburn Sands and District Society. A study of the whole village, which includes a transcript of the 1851 Census. Republished in 1990 without census details. Reminiscences of Woburn by a Ninety Year Old – Mrs H. J. Rooke, 1982. Drakeloe Press. Memories and stories of Woburn and the Abbey. The Book of Woburn – Kenneth G. Spavin and Anne Applin, 1983. Barracuda Books. The history of Woburn town and immediate area including the Abbey. A second edition was printed in 2000. Wavendon as it Was – Richard and Rita Marks, 1986. White Crescent Press. 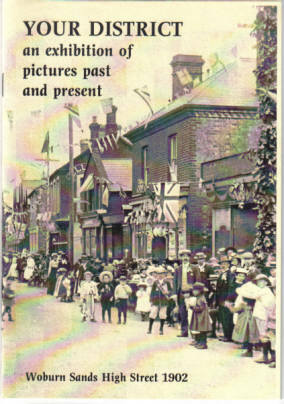 Photo book of scenes in Wavendon in the late 19th and early 20th centuries. Fullers Earth A History – Robert Robertson, 1986. Volturna Press. A history of mining of Calcium Montmorillonite, which was dug locally. One chapter centres on the local workings, which is Now available on this website. The People called Methodists in the Village of Wavendon – Audrey O’Dell MBE c.1988? Privately published. A history of the Methodist movement in Wavendon. The Plysu Story – Jillian Ball, 1991. Cambridge Business Publishing. The history of the plastics firm and their wares, which was based in Woburn Sands. St Michaels, Woburn Sands. The Church, the Parish and The People – Evelyn Wright, 1993. Privately published. The story of St Michaels in Aspley Heath, Woburn Sands parish church. Woburn Sands: Its Shops and People – Dolly Mills, 1993. St Michaels. Reminiscences of a local lady about the shops and people of Woburn Sands. Now available in full on this website. The Perrys of Aspley Guise – Joyce Perry, 1995. Privately published. An in-depth look at the Perry family and where they lived in the Aspley Guise and Woburn Sands area in the late 18th, 19th and early 20th centuries. A Miscellany of Woburn – Arthur Bayntun, 1997. Privately published. Memories and stories of Woburn and the Abbey. Down and Needham: A Celebrated Home Brewed Success Story – Paul Cox, 1998. Privately published. The story of two local businessmen and their empire. Now available in an expanded format on this website. Two Nines make Eighteen – Des Cole, 1999. Privately published. The history of the Aspley Guise and Woburn Sands Golf Club. Now available in full on this website. Millennium Community Festival Lectures – Various Authors, 2000. Private / Powage Press. Texts of local history speeches given at Aspley Guise Common on 15th July 2000. Some parts now available on this website. Your District – An Exhibition of Pictures Past and Present – Woburn Sands and District Society, 2000. Privately published. Made to accompany the Millennium Exhibition of local photos and memorabilia. Woburn Sands 1900 – 2000 Millennium Souvenir – Woburn Sands Business and Community Association, 2000. Powage Press. Some history, with period adverts and local postcards, as well as a modern local business directory. The Woburn Sands and Aspley Heath World War Casualties – Paul Cox, 2001. Woburn Sands Town Council. A history of the War Memorial and those names transcribed upon it. Now available in an expanded format on this website. Cockney Kid and Countrymen: The Second World War Remembered by the Children of Woburn Sands and Aspley Guise – Ted Enever, 2001. Book Castle. The story of a family bombed-out from London, and moving to Woburn Sands, and Ted’s life and career in the district since. Changing Faces, Changing Places: Post-war Bletchley and Woburn Sands 1945-1970 – Ted Enever, 2002. Book Castle. Second part of the story of a family bombed-out from London, and moving to Woburn Sands, and Ted’s life and career in the district since. Lengthening Shadows: Bletchley and Woburn Sands District and the Influence of Milton Keynes – Ted Enever, 2003. Book Castle. Third part of the story of a family bombed-out from London, and moving to Woburn Sands, and Ted’s life and career in the district since. Woburn Sands Heritage Trail – Paul Cox & Woburn Sands Town Council, 2007. Privately published. A walking trail through Woburn Sands and Aspley Heath, using old postcard views, to celebrate the Town Council Centenary. Now available in full on this website. The Aspley Guise and Woburn Sands Gas Works, Bedfordshire. The Early Years (1868 – 1893) – John A. Taylor, 2007. Lulu.com An examination of the history of this business through the company minute books. 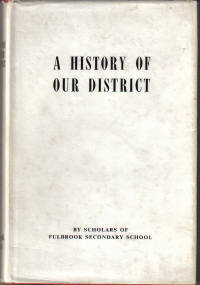 Fulbrook Middle School Celebration Book 1958-2008 – Fulbrook School, 2009. History of the Secondary School.